The 22nd of June, 1948, was a deeply important date in British history. This date marked the docking of the Empire Windrush, in Tilbury, Essex. The landing of the Windrush is still a relatively little-known event in the British past, yet even less is known about the lives of the people who arrived aboard the Ship. 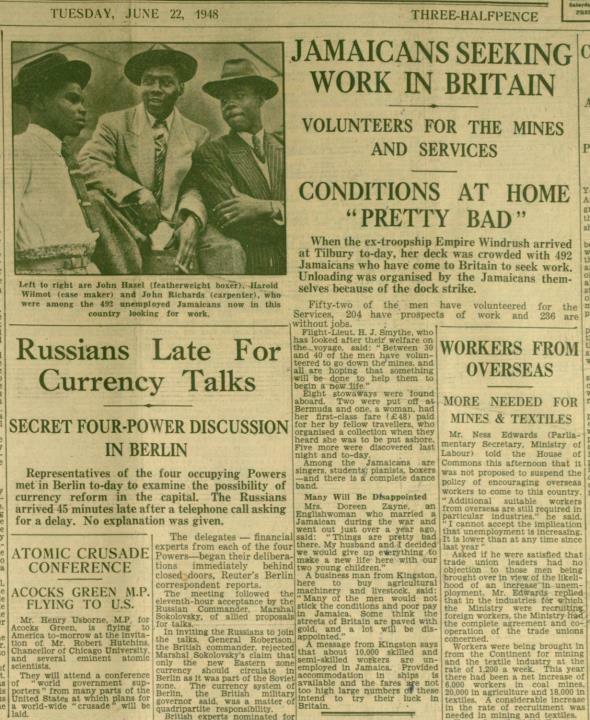 This Faces and Places entry aims to use the newspaper collections to begin to explore the very early experiences of the Jamaicans who travelled to Britain aboard the Empire Windrush, before journeying to the city of Birmingham. The newspaper collections which are held in the Central Library are an invaluable source which can be accessed to explore some of the experiences of Black and Asian communities in Birmingham. When using the newspaper collections it is important to identify key dates to home in on, so one is not just laboriously churning through pages and pages of material. 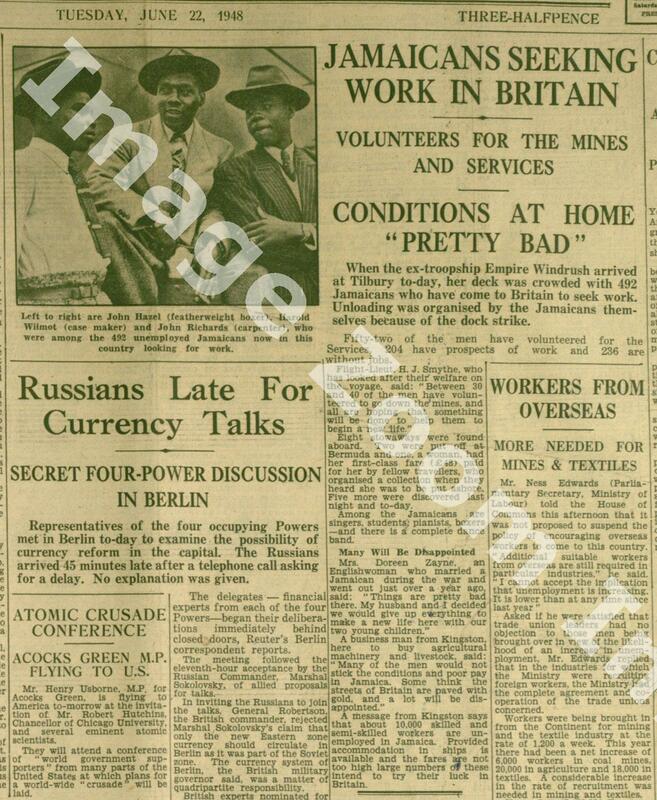 This article ‘Jamaicans Seeking Work in Britain,’ which appeared in the Birmingham Mail on the day in which the Empire Windrush landed, contains the now-familiar quote which reveals a huge amount about the ways in which Britain was perceived in her colonies, ‘some think the streets of Britain are paved with gold.’ The article also features the large sub-title ‘Conditions at Home ‘Pretty Bad.’’ However its reportage, the paper fails to make any link between British colonialism and the state of the economy in Jamaica.